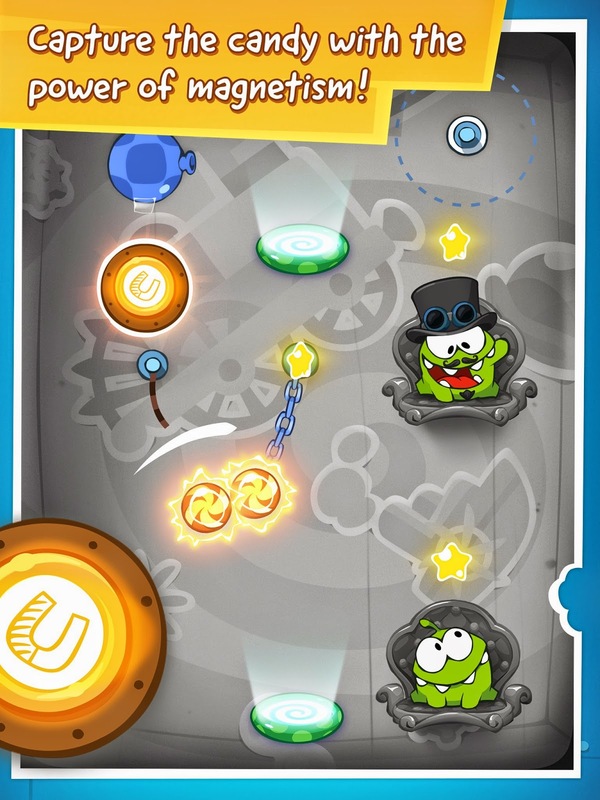 "Cut The Rope" and "Pudding Monsters": NEW "Industrial Age" Update for "Cut The Rope: Time Travel" ver. 1.4 !!! NEW "Industrial Age" Update for "Cut The Rope: Time Travel" ver. 1.4 !!! "Cut The Rope: Time Travel" ver. 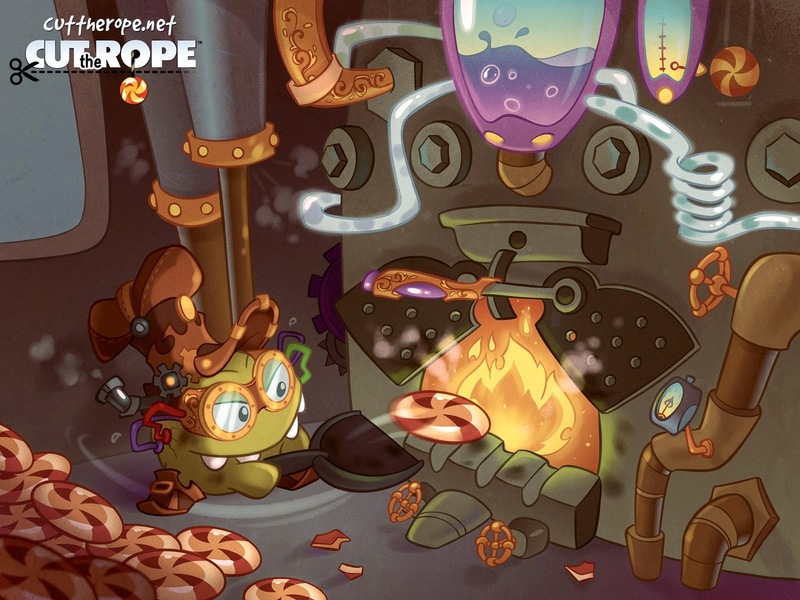 1.4 "Industrial Age"
"Cut The Rope: Time Travel" ver. 1.4 comes with a NEW 10th box "Industrial Age" and the previous "The Future" box has become the 11th box. The NEW game element is a "magnetism" button which when pressed will toggle on or off the magnetism of both candies and cause them to attract towards one another or return to normal.